It feels like it has been raining for days and when it rains, I bake. It feels like the right thing to do. The creative juices start flowing and the sweets appear. I have been watching the clouds noticing what the shapes look like, a dragon, a cat, a ship, a pie…. Wild Maine Blueberries are tender, small and sweet. Blueberries are one of the most healthiest of foods, full of antioxidants. The leaves and the stems have even more antioxidants, so no need to pull them out. I have been storing away blueberries since August knowing that the season will end. 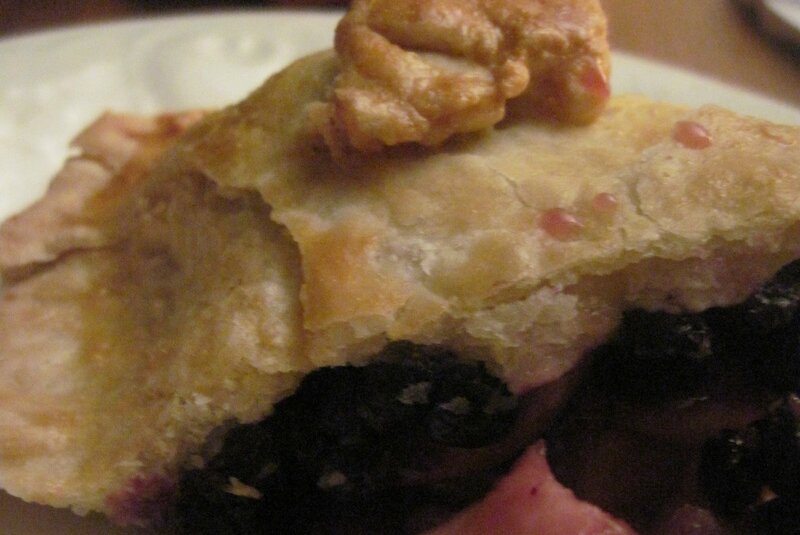 Use fresh or frozen blueberries for your pie. If you are using frozen, it is not necessary to defrost them completely. 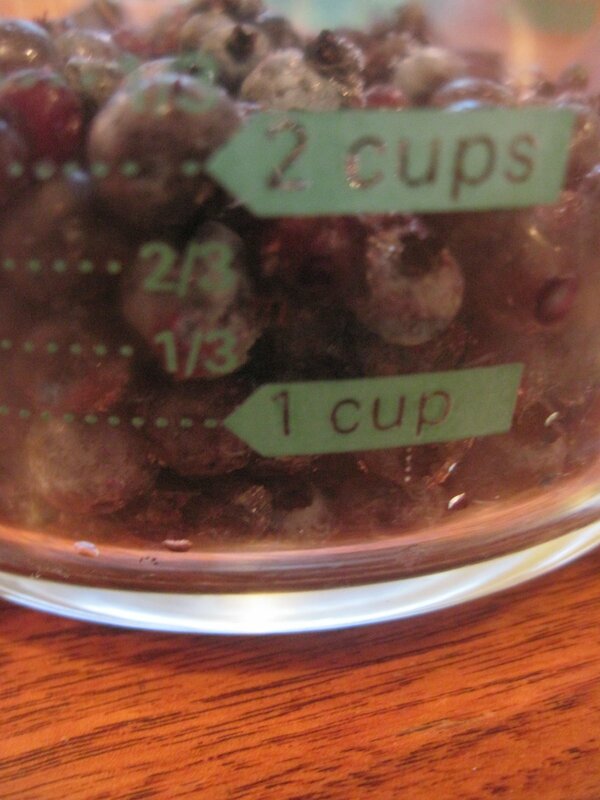 Use 2 cups of blueberries. 2 cups of your favorite tart apples. I like Cortland and McIntosh. 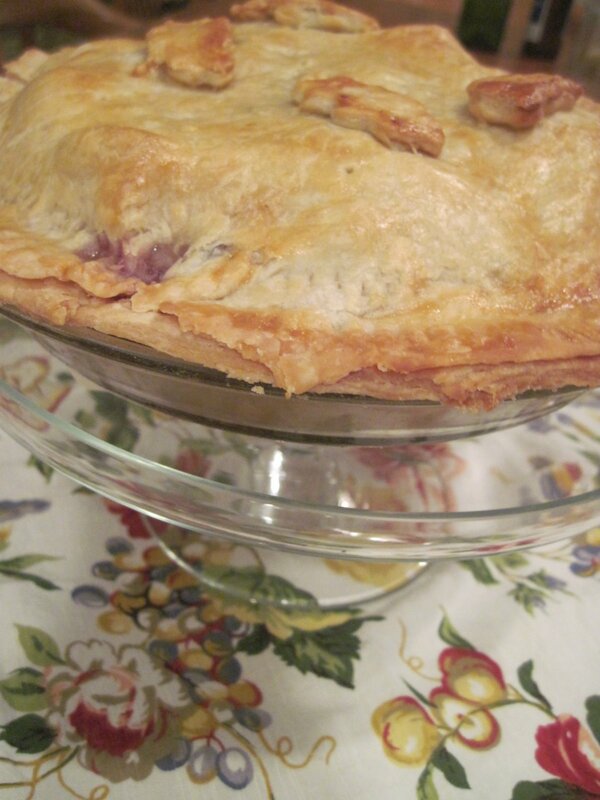 Basic Pastry dough for a 9 inch two – crust pie. 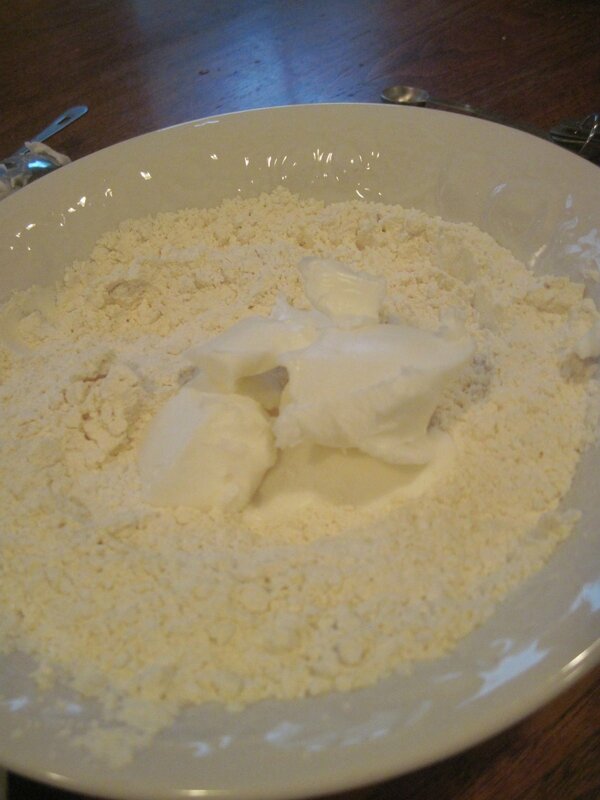 Four ingredients, flour, salt, shortening and water. Cut the shortening in the flour with two knives. 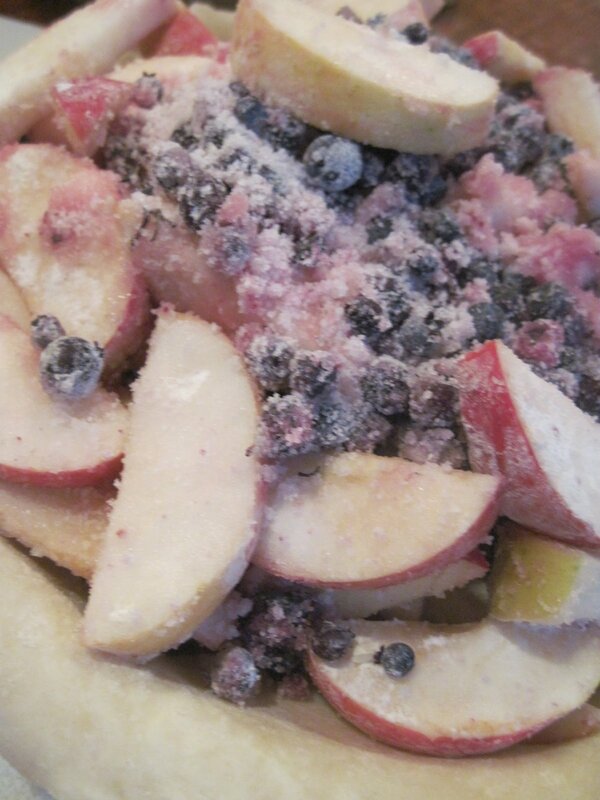 Add flour and sugar to apples and blueberries. Gently toss. 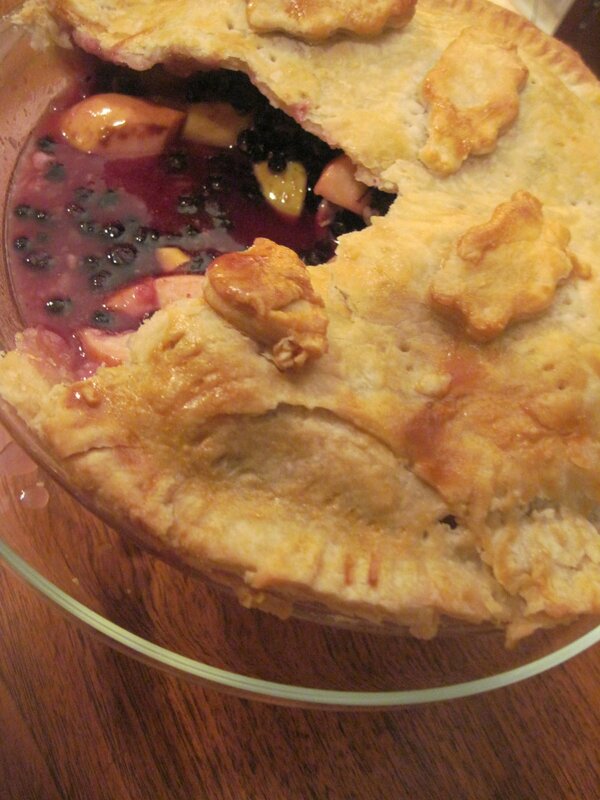 Pile in the blueberry and apple mixture into a lined pie pan. Dot with butter. Large dots for me! Cloudy Day pie deserves clouds on top. 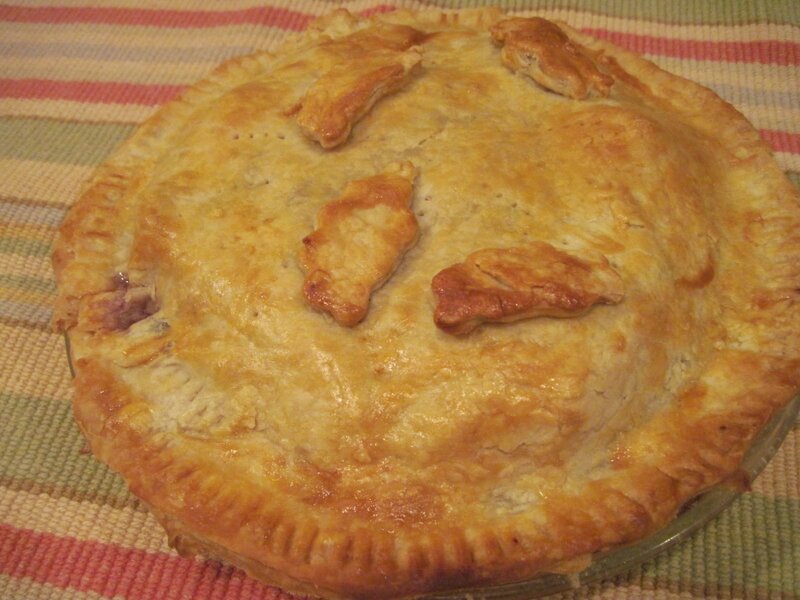 Beat an egg and brush the top, and bottom of the clouds so that they stay on the pie, brush the egg on to the whole pie. 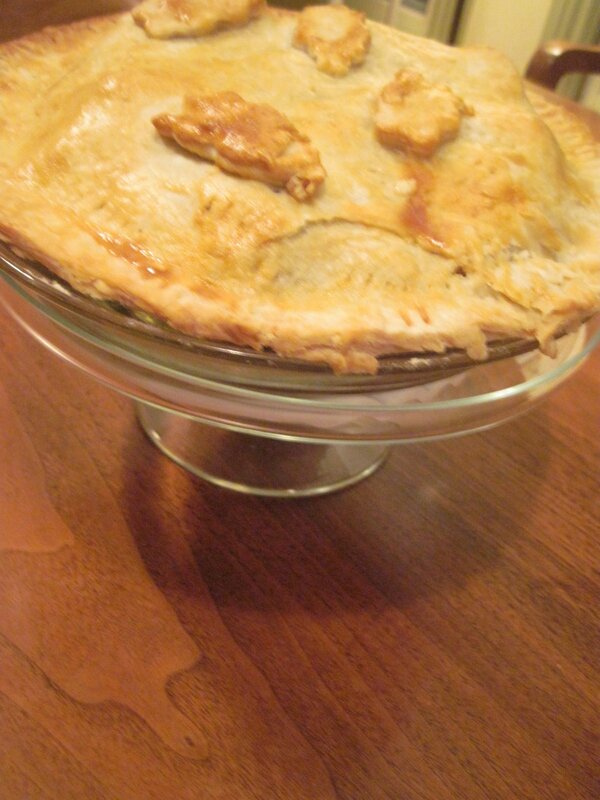 Bake until pie is bubbling and crust is golden brown, about 60-70 minutes. Cover with foil if pie starts to get too brown. These clouds look like bunnies or cats or clouds. They taste flaky and yummy. 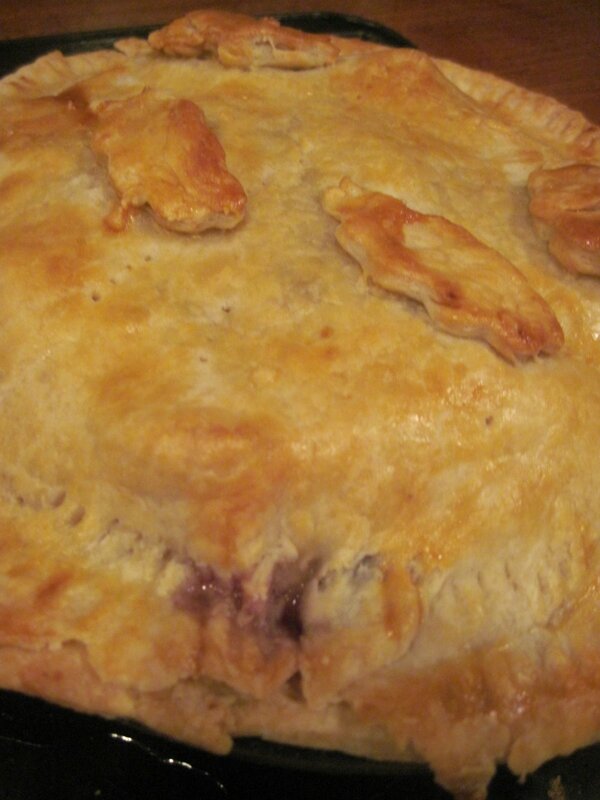 A slice of Cloudy Day Blueberry and Apple Pie. A slice of life! Cut in shortening with a a pastry blender or two knives. Combine lightly only until the mixture resembles very tiny peas. 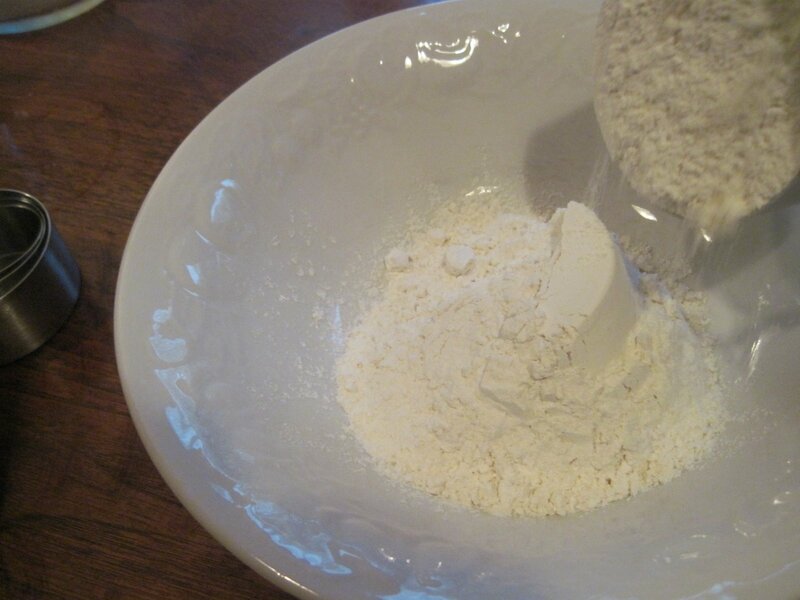 Sprinkle water over the flour mixture one tablespoon at a time. 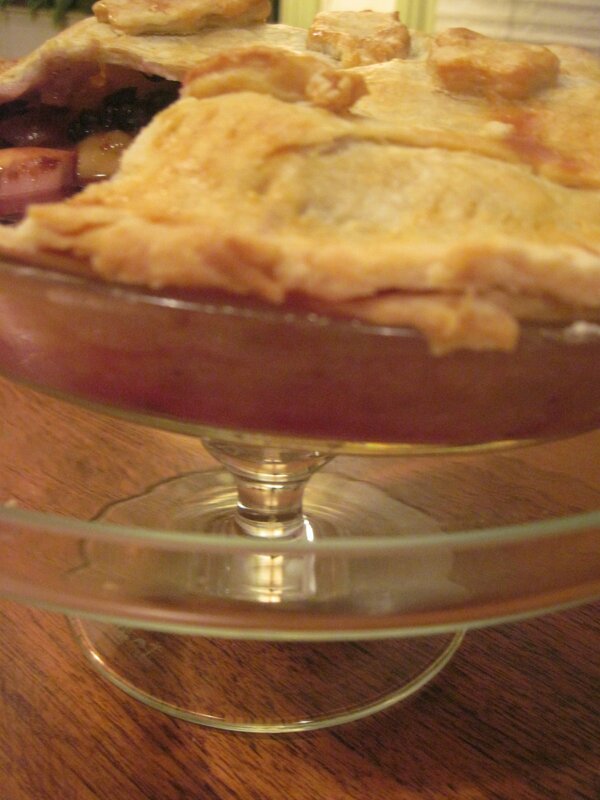 Mix lightly with a fork, using only enough water so that the pastry will hold together when pressed gently into a ball. Roll out on a floured board and floured rolling pin. Makes two crusts. Preheat Oven to 425 degrees. Line the pie pan with half the pastry dough. 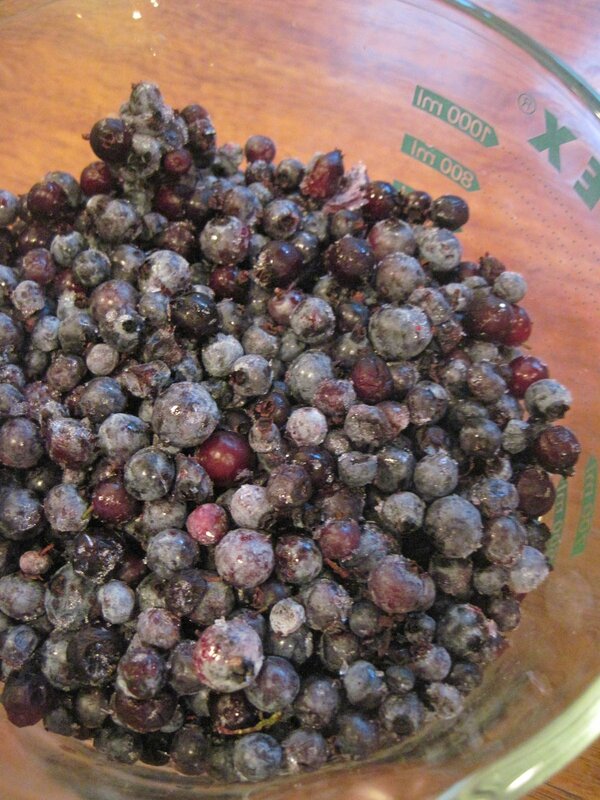 Wash and pick over blueberries if you are using fresh ones; if you are using frozen berries, it is not necessary to defrost them completely. 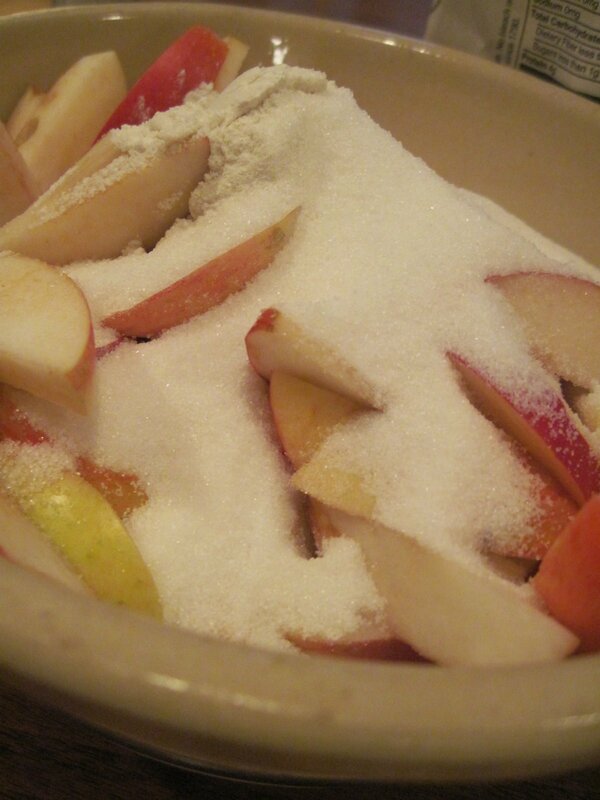 Mix the flour, sugar, salt in a large bowl. 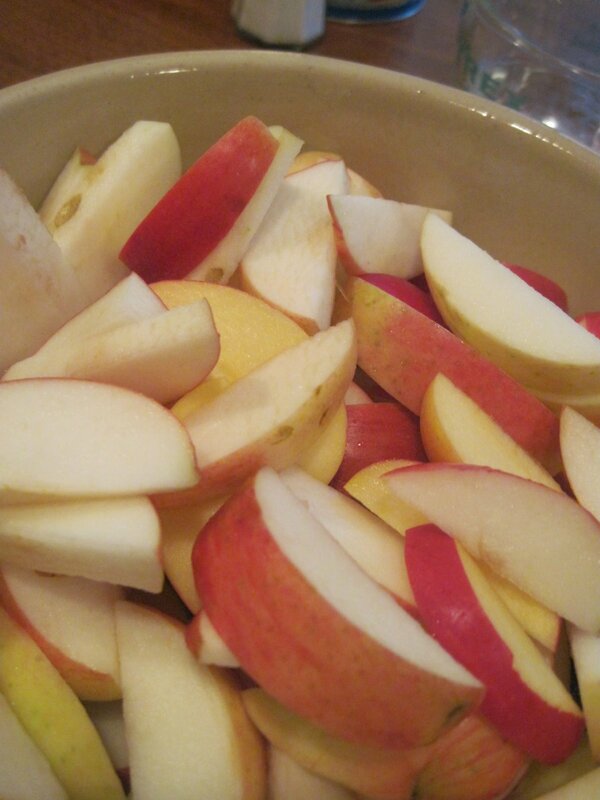 Add the blueberries, sliced apples and lemon juice and toss well. Pile the mixture into the lined pie pan and dot with the butter. 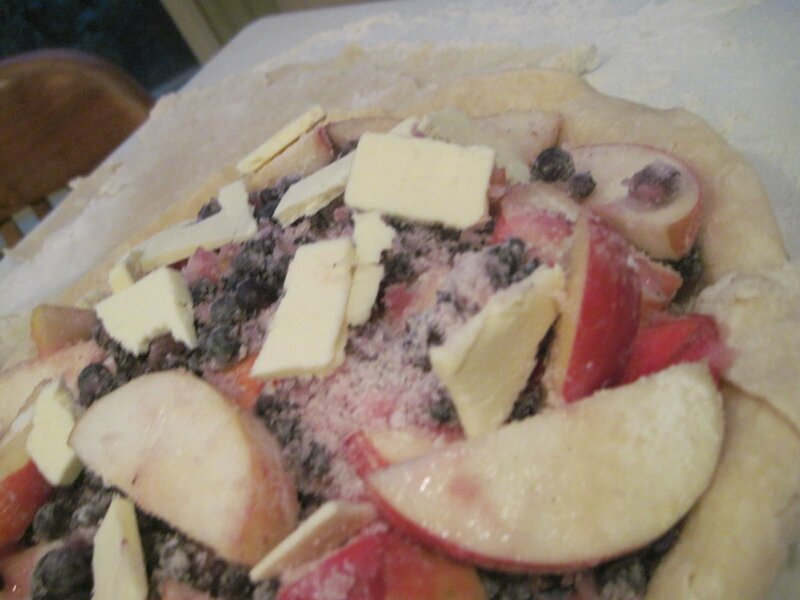 Roll out the top crust and drape it over the pie. Crimp the edges and cut several vents in the top. 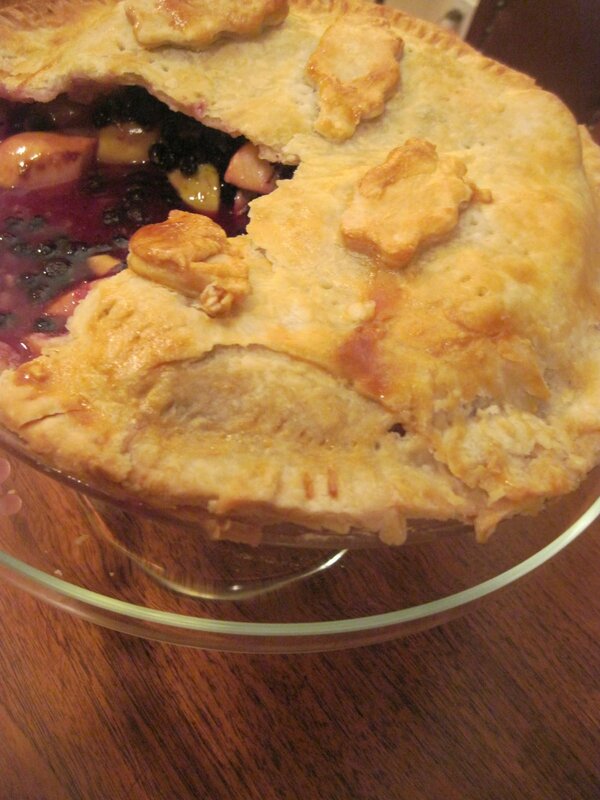 Using a cookie cutter make shapes for the top of pie. Beat an egg and brush over top crust, brush bottom and top of shapes. Place on top of cookie sheet. Bake for 10 minutes, then lower heat to 350 degrees and bake for 40-50 minutes or until top is browned. Cover with a sheet of foil if crust gets too brown. 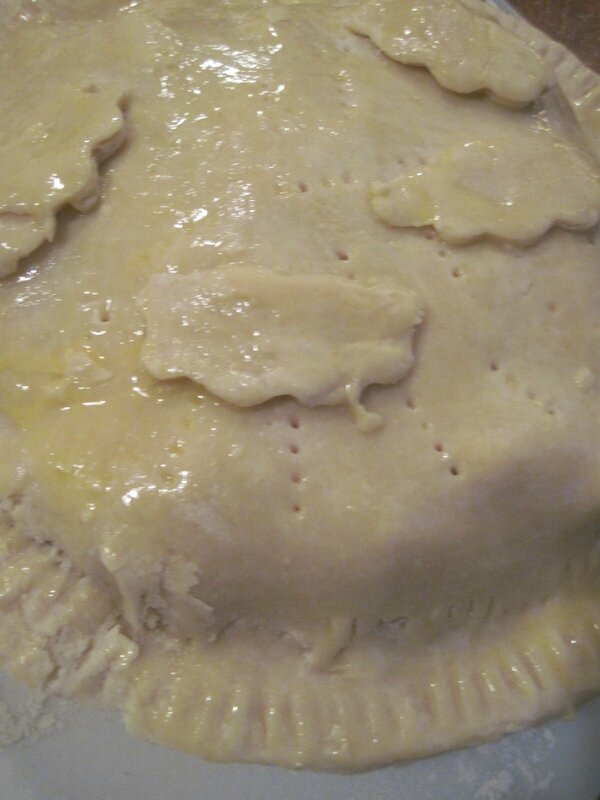 Pie will be bubbly and brown when done. Let cool before slicing. Serves 8-10. Recipe adapted from The Fannie Farmer Cookbook. It looks heavenly. 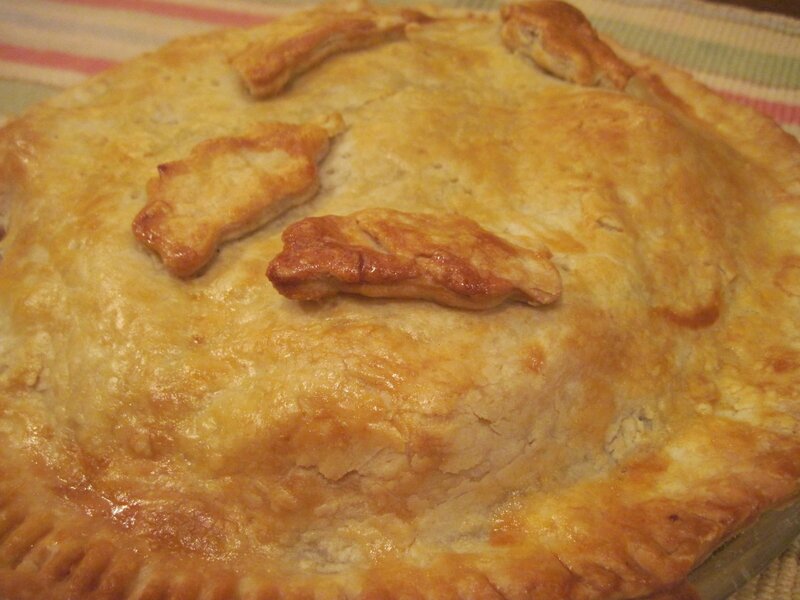 I have not baked a lot of pies…but am seriously feeling the need to try this one. I love your intro to the recipe too! Thanks fro coming by 504 Main! Your blog looks lovely and delicious! 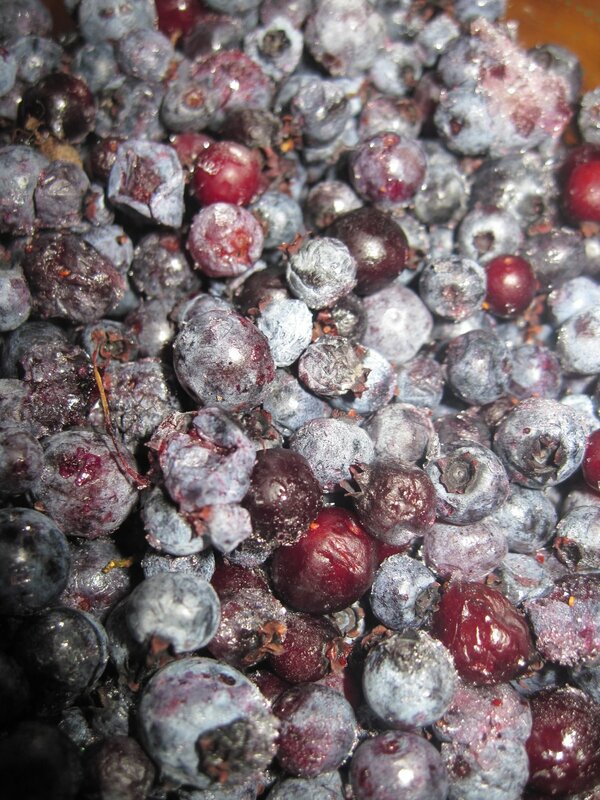 hmmmmm…I have some blueberrys in my freezer from the summer…Looks delicious! I love the idea of all the fruits together. It looks lovely. An unusual combination of fruits! Sounds like it would bridge the gap between summer an fall nicely. How I love this friendly pie. I love the clouds on top and it made me smile. I wish I had some fresh blueberries, not exactly grown much here in CA. What a splendid pie. 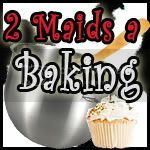 I do love to bake especially when it is cloudy. It just feels right. This pie looks amazing! 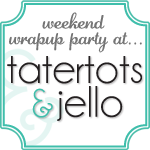 I need to try blueberries and apples together…I bet it's delish! Oh ya! We just picked the last of the apples at the orchard. Actually, we ended up scouring the ground for drops, which were plentiful! This pie sounds fabulous! Wow Lynette!I didn't realize you've been cooking up such a beautiful storm. You go girl!